In building the Body of Christ, Christians have historically established institutions of higher learning, which have had a great impact on the course of civilization. With Western educational institutions moving away from their Christian foundations, and other schools with no historic ties to Christianity coming to prominence, the opportunities for the gospel to impact governments and cultures are greatly diminished. 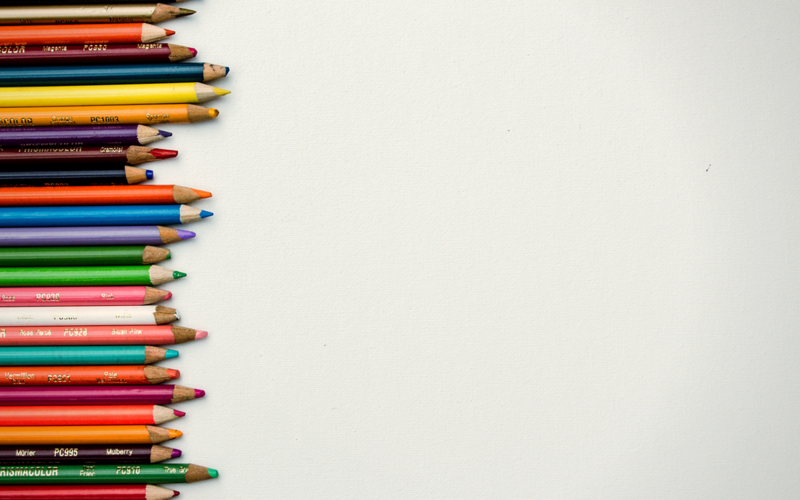 As you send your children back to school in the upcoming weeks or perhaps start school yourself, are you thinking about the great need for Christian education to help shape the minds and hearts of tomorrow’s global leaders? 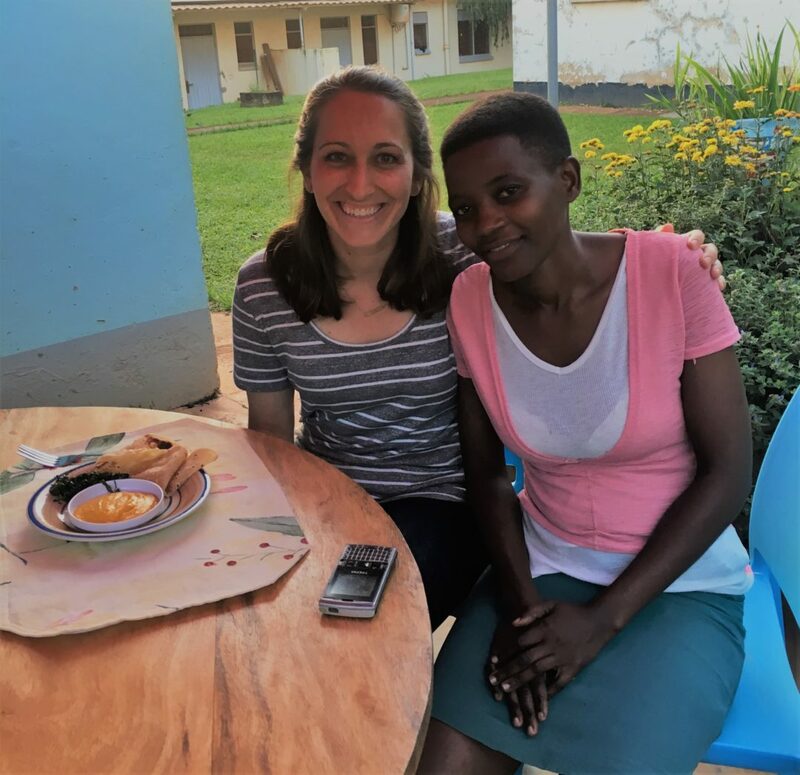 Many SAMS Missionaries are rising to the challenge to bring others to Christ through educational ministry, and you can help, too. The Society’s commitment to education is unwavering. God is at work through our missionaries to build the body of Christ through education. This comes in many forms, ranging from teaching in a children’s Christian school in Chile to training community health promoters in the Dominican Republic. 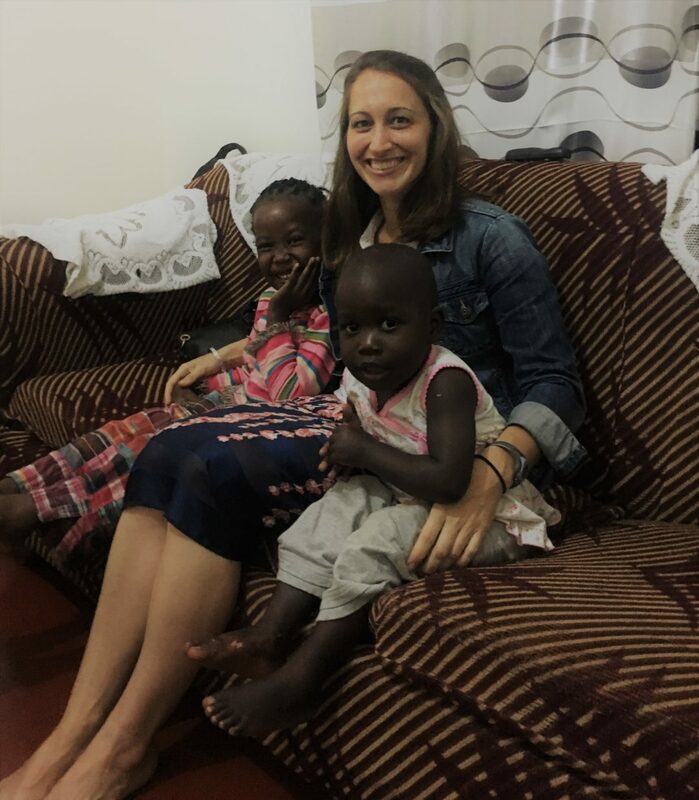 We encourage you to visit to get acquainted with all of our missionaries and discover the ways they are involved with education. Since the early days of the church, the Body of Christ has reached out to children and youth without families, taking on the responsibility of raising them and providing for their education. Christian missionaries continued that tradition by establishing orphanages and children’s homes throughout the world, and the need to care for children without families—or with families who cannot afford to support them—is larger than ever. Teaching young children has always been part of the Church’s mission. Providing a solid education grounded in the Gospel gives many young disciples a solid start. As a missionary society, SAMS is interested in building up the whole Body of Christ. But as an Anglican missionary society, SAMS is committed to the building and strengthening of Anglican churches and dioceses around the globe. With the increasing importance of the Global South in Christianity in general and Anglicanism in particular, SAMS wants to help Anglican leaders throughout the world have the educational tools they need for effective ministry. While social outreach never replaces the proclamation of the Gospel in building up the Body of Christ, the two go hand in hand. James 2:14-17 speaks of the “works” needed to put “faith,” into action, including giving “things needed for the body.” Addressing social needs is a part of the Gospel that SAMS does not forget. Equipping local people to reach out to others in difficult or even horrific circumstances is considered a high calling by SAMS. The first thing you can do is PRAY, especially for SAMS missionaries who helping to form the Godly character of young people through the education of the whole person. People who have been called to educate young people in the ways of the Lord certainly need prayer and other support, too. SAMS will help you connect to a missionary who is involved in educating young people. Your praying, giving, and practical support will help those who are already ministering or it will help raise up new SAMS missionaries enabling the church to SEND many more laborers for the ripe harvest. GIVE financially to help missionary teachers and their schools. GO! There are many opportunities to teach young people and to use Teaching English as a Second Language in reaching people for Christ. If the Lord is calling you to missionary service, we have a place for you. Consider serving as a career missionary or as a Bridger from a month up to one year. If you are interested in putting together a short-term mission team [create a hyperlink] to come alongside missionaries who are teaching, SAMS can connect you in a variety of ways to fulfill God’s calling of you and your church. 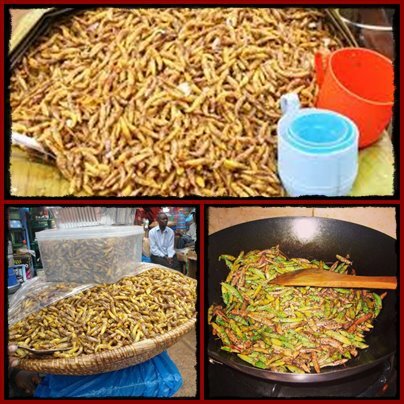 One of the most intriguing and different parts of life in Africa is the abundance of different languages. 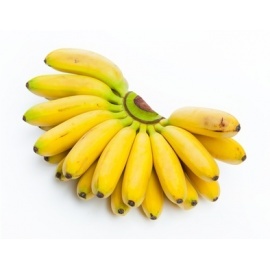 In Uganda alone, there are more than 30 languages spoken. 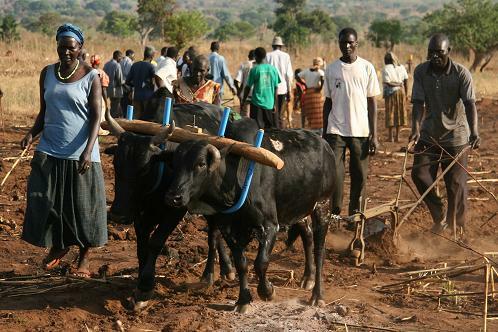 I live in Mukono, near Kampala, the capital, where many people from around the country have moved to this area to work. Most it seems also keep in contact with relatives in the village they are from, go back to visit, have second homes in the village (for those who can afford it), and also continue speaking their tribe’s language, teaching it to their children at home. 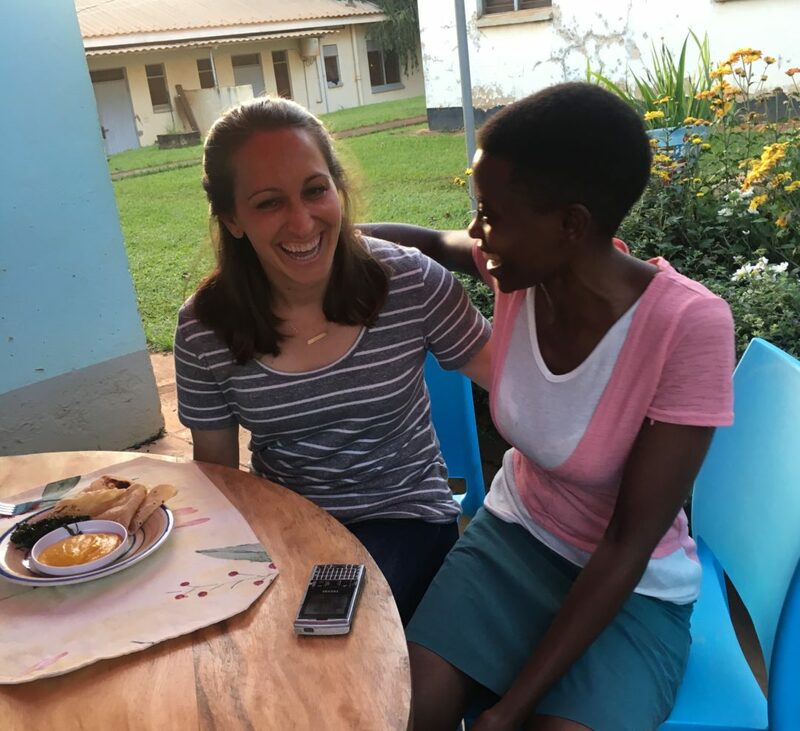 Most people at Uganda Christian University and other professionals here speak English and Lugandan in addition to their native tribe’s language. Many times here, friends have asked me what my language is where I’m from. They are surprised when I just say “English”. I try to share some of our Texan modifications, but “Howdy” and “ya’ll” seem to pale in comparison to the rich variety of languages in Africa. The other night, I was blessed to be invited for dinner at another lecturer’s home with his family. We had delicious traditional food, watched a World Cup game, and enjoyed good conversation. After we finished eating, I was asking about which area of the country they are from and about the language spoken there. The family’s 5 year old daughter was an eager teacher when I requested to learn a few words. She would say a phrase, then I would try to repeat. After a time or two of that, giggling, she exclaimed “she’s saying it wrongly!”. But her persistence to teach me didn’t stop there. By the end, she was walking me through the phrase syllable by syllable, “counting” on my fingers as she went for emphasis! The whole group had a lot of laughs. What a fun family dinner! A good friend who also works at UCU has been helping me to learn some Lugandan words mpola, mpola (slowly, slowly), but this afternoon, I got a chance to expand my horizons to another language too. Our neighbor and her husband are from Western Uganda where they speak Runyankole. As we enjoyed a cool late afternoon on our back patio, she taught me some phrases. As I meet all these new friends, many with different native languages, these verses come to mind. What a beautiful day that will be when every knee bows and every tongue, from every tribe and nation and language, confesses that Jesus Christ is Lord! As we who know Christ as our Savior long for that day, may we be bold in faithfully proclaiming the Gospel that none should perish! 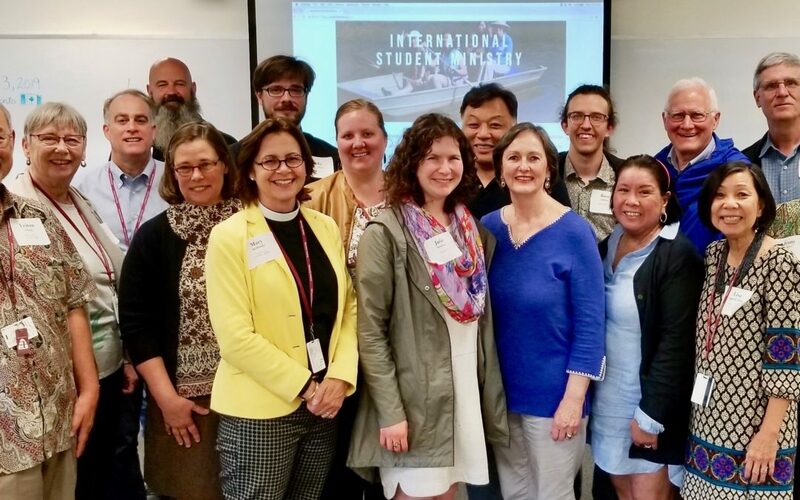 The recently launched Anglican International Student Ministry Network (AISMN) held its first conference to connect Anglicans seeking to reach the 1.6 million international students currently in North America. Led by co-directors Lisa and Leiton Chinn, your SAMS Missionary Rev. Dr. Mary McDonald, and assisted by New Wineskins Director Jenny Noyes. “I speak for the network founders, we were utterly amazed at the Lord bringing twenty-two participants to the conference from Canada, China, Pennsylvania, Virginia, and North Carolina to Eastern University outside of Philadelphia, PA on May 31. 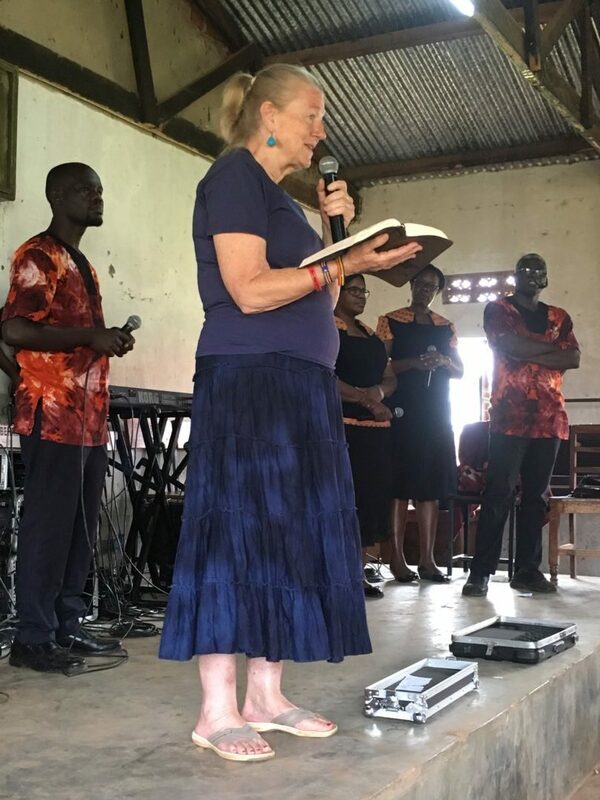 Many stayed the weekend for additional training at the Association of Christians Ministering among Internationals (ACMI) conference,” McDonald stated. AISMN is a group of Anglicans involved in international student ministry around the world. They are committed to offering hospitality to students and scholars who study and work in a country not their own. When there is interest and trust, we share our Christian faith. The true value of networking was experienced as people from different churches shared their ideas. TIPS, Truro International Program Services, founders Lisa and Leiton Chinn as well as Linda Sellevaag, Karen Kirk, Rev. David Jones, and recent TIPS intern Julie Meadows told fabulous success stories of the program’s 33-year ministry. Jose Garrigo the current leader of TIPS was teleconferenced in to give his valuable insights on making the Anglican churches more welcoming to outsiders including having more multi-ethnic staff and involving internationals in the planning and running of the programs early on so it is truly “their” program. Lisa Oelerich, Alpha USA/New England was also Zoomed in to share about the Alpha for internationals materials and encouraged people to use it as an excellent resource to bring internationals to Christ. SAMS Bridger Deb Carr and her husband Chuck Carr along with Bo and Lilly Ubbens spoke of befriending and “parenting” international students at Trinity Seminary in Ambridge, PA.
Jean and Steve Louie, at William and Mary University in Virginia said their, “International Student ministry is organic and grew from nothing. They just help students adjust to American culture. The ministry is eat, eat, eat, plus professional mentoring.” They have a Meet & Greet in Fall, a winery outing, football, Lunar New Year, and celebrate holidays with the students. The couple was thrilled to network with other Anglican ministering among internationals and we are thrilled to have them in the network! Mary and Jack McDonald shared of their ministry at Va Tech in Blacksburg, Va and suggested a possible regional conference for international students. ASIMN was blessed by the attendance of internationals, Syncia Yin Chan, with ISMC National Team Communications and Nicole Schlicther the city-director from Quebec Canada. We even had 2 guests from China sharing about ISM in China. Additionally, we had a guest share about the Southern Baptist denomination’s experience with ISM. The ASIMN was “A mountaintop experience!” according to Dr. Mike Medley, former Director of Intensive English Program at Eastern Mennonite Univ. and now Parish Administrator at Church of the Incarnation. He brought Ross Gulliver, back from 10 months ESL teaching in China, who shared about Conversation Corners at James Madison University in Harrisonburg, VA and listed ideas for connecting with other ministries. 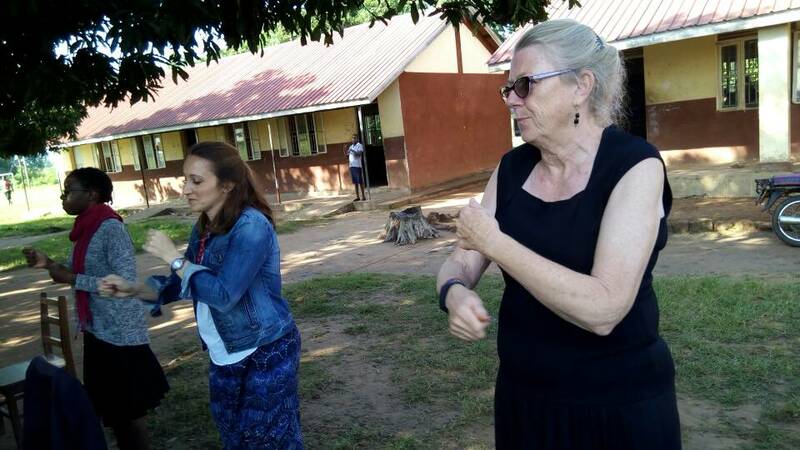 The conference time concluded with prayer for each other’s outreach to internationals and plans for the continued ministry of AISMN which hopes to include tracks at various Synod gatherings, the Provincial Assembly and New Wineskins in 2019. If you would like to be involved with the network or to have a copy of the notes from this historic conference, please write marymcdonald@sams-usa.org. 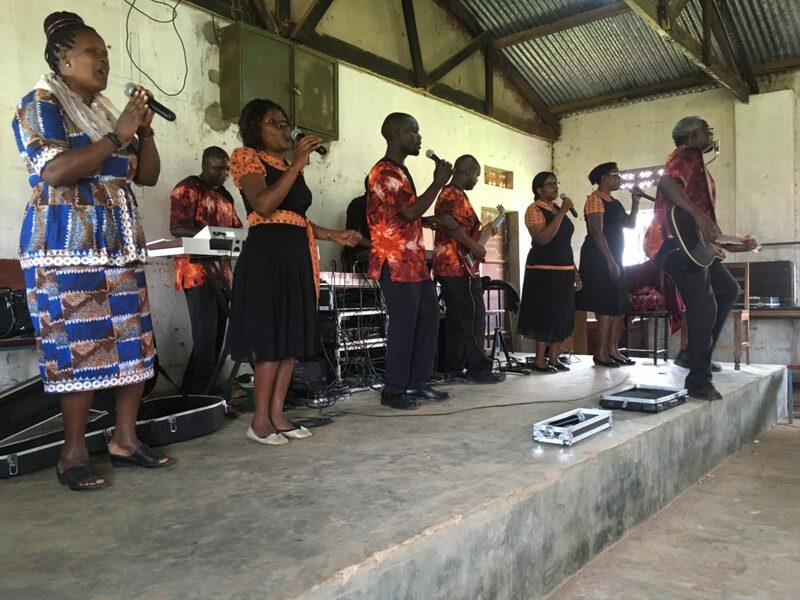 Last weekend, I had the honor of being part of an Anglican Youth Fellowship Band mission trip to Bukedea District in eastern Uganda. AYF Band is a group over 30 years old with a passion for proclaiming the Gospel and bringing people to Christ through music ministry. 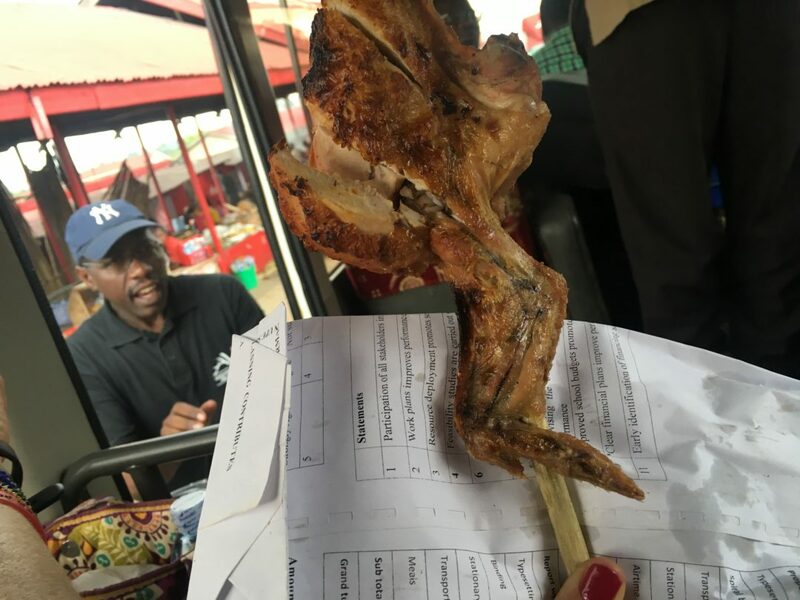 We left Mukono on Thursday afternoon, stopping about an hour down the road for chicken on a stick! As we stopped, 3 or 4 men with 15 skewers of chicken ran alongside our costa (bus) hoping to sell to us. Cue Joke #1 of many! : “See it’s fast food, it chases after you!” Two of our team members did a great job of finding fresh pieces that had more time on the fire to ensure they did not make us sick. It was delicious! About 7 hours later down a long dirt road with maize growing on each side, we arrived at our destination in a village in the Bukedea District. We were blessed to stay at an AYF member’s home, close to 25 of us! After taking some tea and dinner of traditional food, we all turned in for the night to be ready for an early start the next morning. Friday, we began our mission at Bukedea Primary School. The children were very excited to see the costa pull up and even more excited to see the instruments and sound equipment be unloaded! 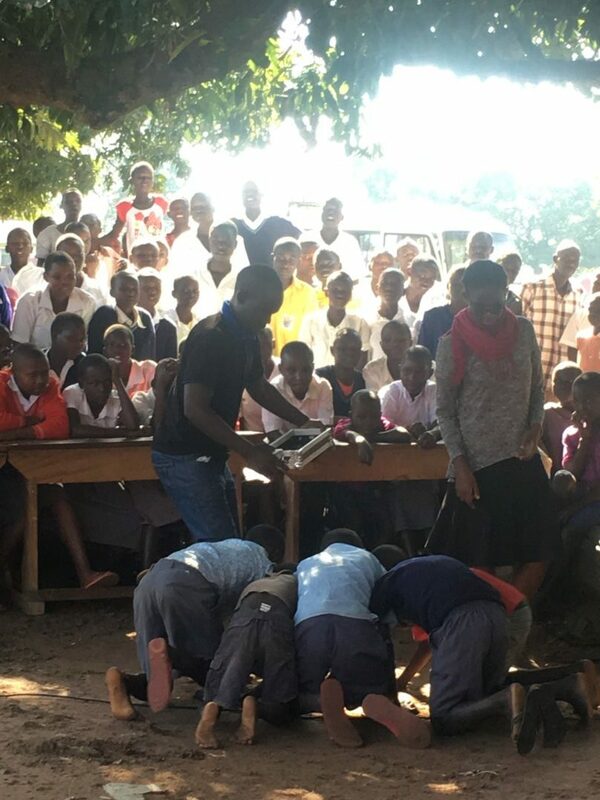 The team set up the “stage” area under a tree in the middle of the school, while children poured out of every building, carrying wooden desks to sit in to watch the performance. The Band is full of so much musical talent which the kids and adults very much enjoyed. Between songs, the team members shared powerful testimonies and the gospel. Later in the program, one member told the story of the prodigal son while the rest of the team acted out different roles for the kids. My favorite part was watching the kids enthusiastically take on the role of pigs in the part of the story when the prodigal son has to take a job keeping pigs. At the end of each program, there is an explanation of the gospel and a team member will lead those who want to accept Christ in a prayer to do so. The day continued with a Kyondong Primary School then Seed Secondary School. At the Secondary Schools, the program is adjusted to suit their age group and includes an altar call at the end. How encouraging to see so many students come forward wanting to accept Christ! The group of new Christians is then brought outside and given a booklet called “Welcome to God’s Family” which explains the gospel and next steps for new Christians. 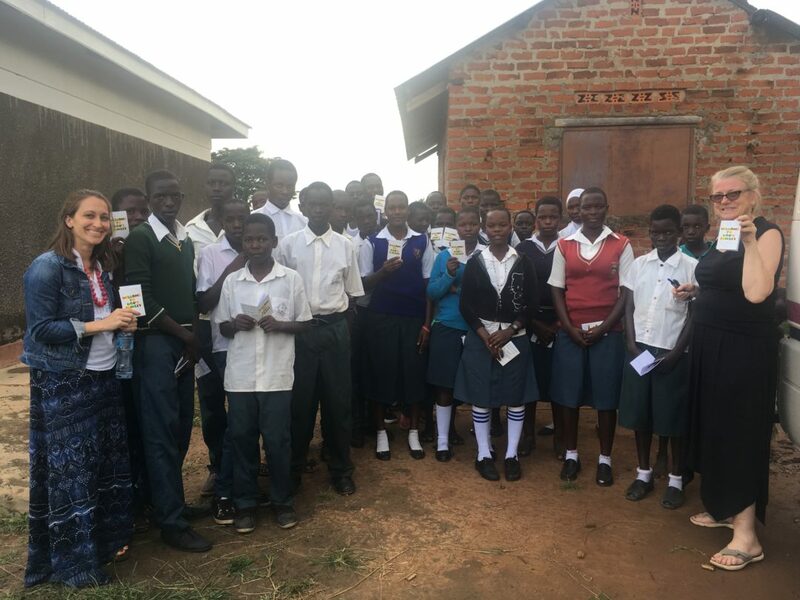 Each student also completes a contact information card that is passed on to a school chaplain or other appropriate local person so that they can follow up in discipling these new Christians. 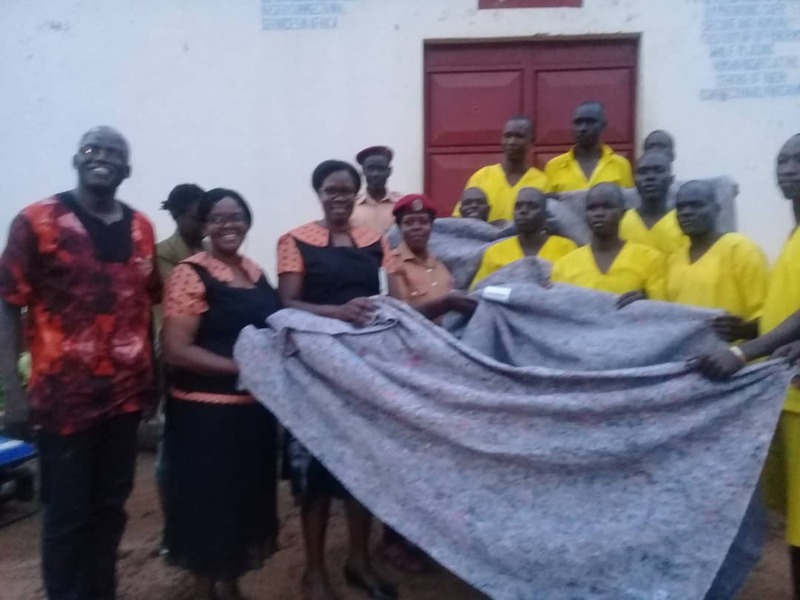 Saturday was spent visiting Bukedea Boarding Secondary School, the Kidongole Health Centre, and Bukedea Local Government Prison. 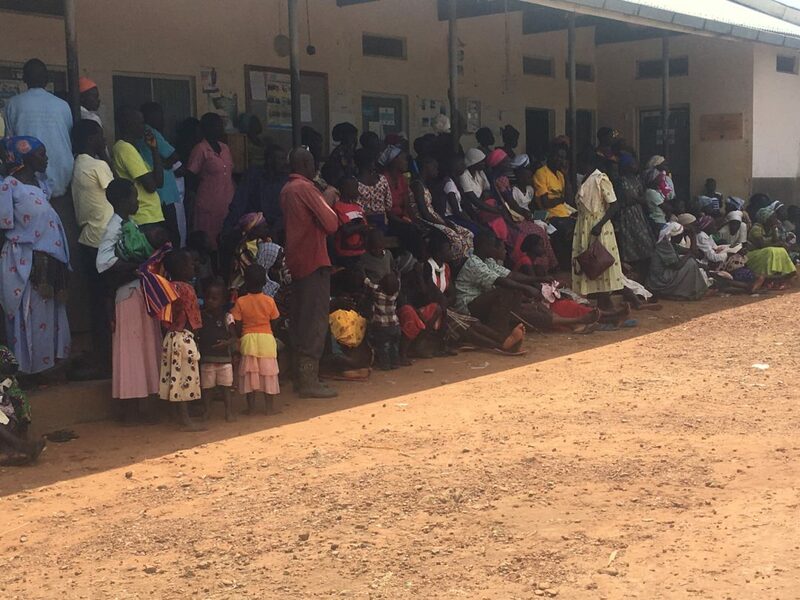 Our team of 15 doctors saw 540 patients in 2 days at the Kidongole Health Centre while AYF performed in the various locations. Then on Sunday, we were invited to a village church and enjoyed being in that community as we ended our trip. Overall, I was so blessed to get to know some amazing people with bold faith and powerful testimonies of the ways that Jesus has transformed their lives. 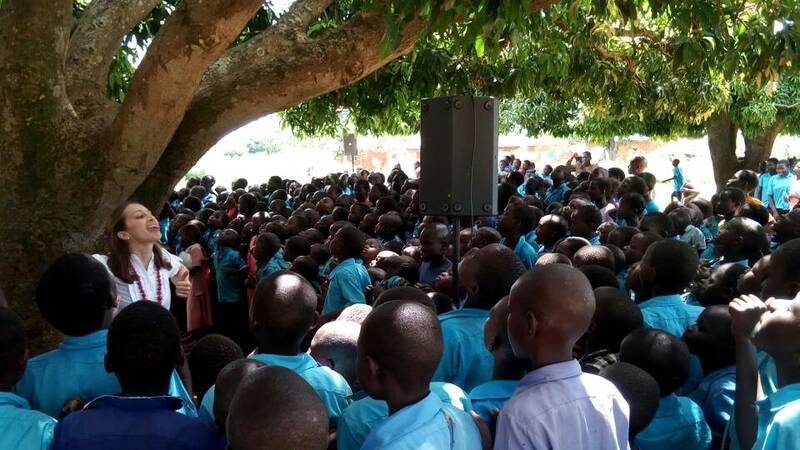 We will continue to pray that the seeds sown last weekend will continue to grow and flourish in Bukedea District! 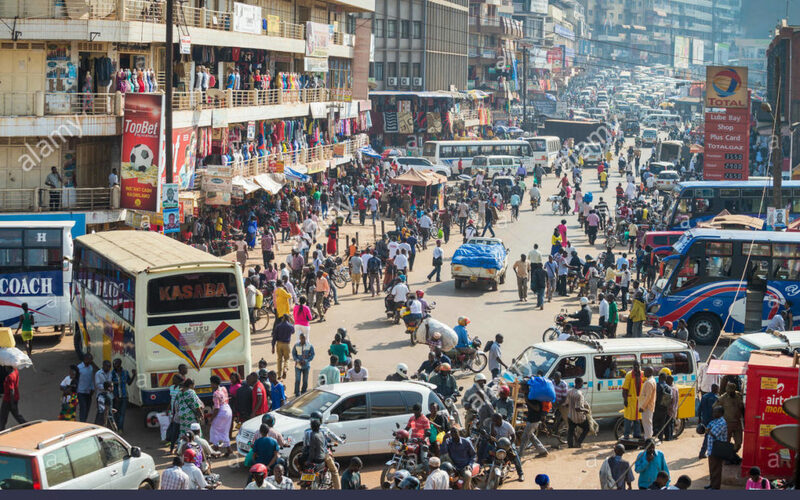 Over the last few weeks, I’ve made more trips into Kampala. 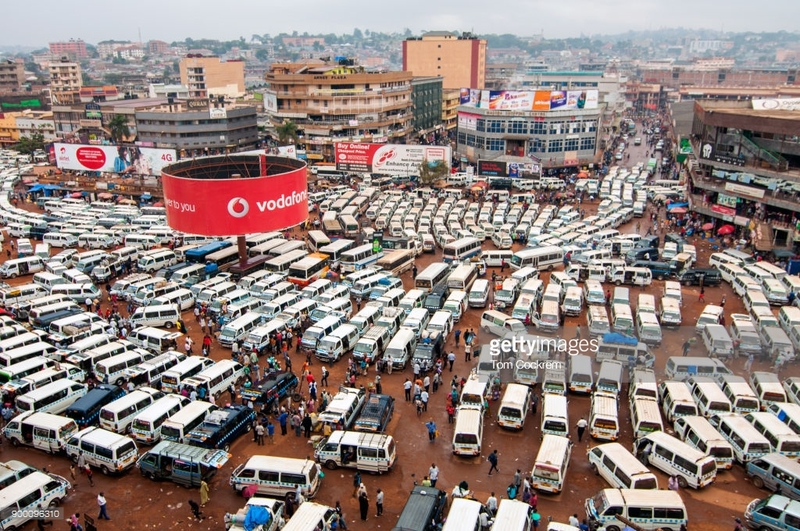 Although it’s just about 14 miles from Mukono (where Uganda Christian University is located) to Kampala, because of the large amount of traffic on few main roads between the two places, it takes at least an hour, if not more, to get there. For those who don’t have a car, the standard transportation method is by taxi. My first trip to Kampala other than just passing through, I was accompanied by a UCU friend, another lecturer at UCU. About 15 minutes into our ride after setting off from Mukono, we were pulled over by the traffic police who do random stops on major roads to check for brake lights, licenses, etc. Our driver handed his license to the police woman who had him get out, look at the tires…then we notice that as she turns to talk to another officer, our driver walks across the road and keeps walking away from our taxi! Apparently, he did not have the right credentials for that taxi so to avoid getting arrested, just walked away! All 14 passengers piled out and hopped in other taxis within a few minutes. That’s one way to do it! Mornings here during the week usually begin with greeting Paul who takes care of the garden outside our house. He is a joyful person who is always wearing a big smile. 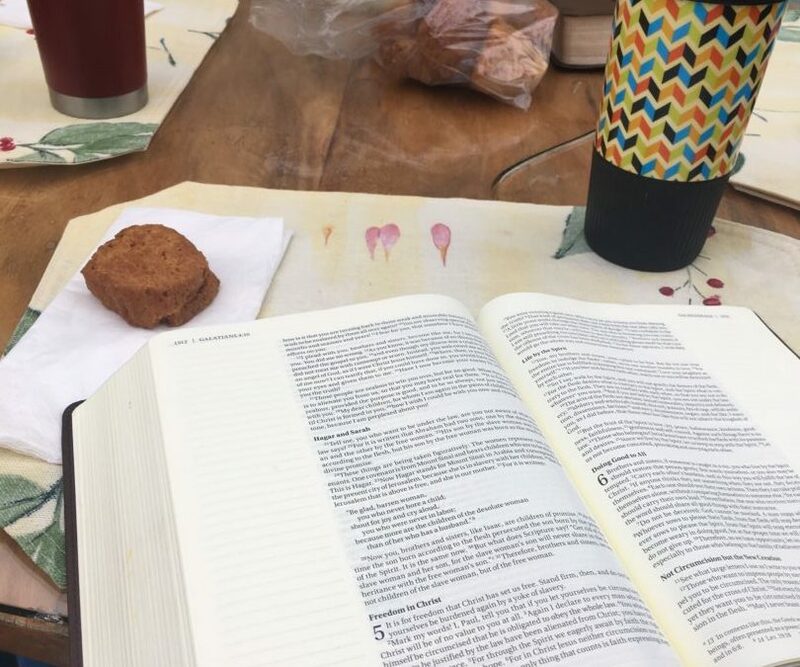 We prepare our coffee and sit down for a small breakfast of jam and toast (though Paul highly prefers his bread untoasted) and morning bible study (currently the book of Galatians). 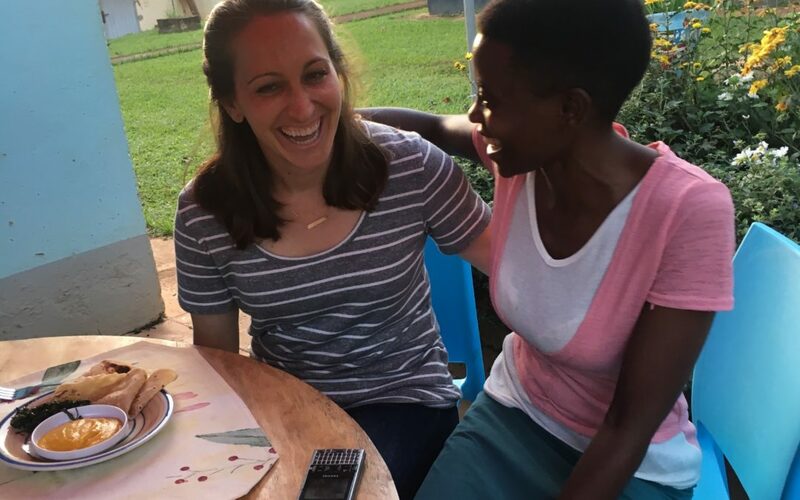 During our discussions, Paul often shares cultural insights that give me a better understanding of the Ugandan culture but also often sheds new light on part of scripture. For example, as we studied Galatians 5:1, Paul was able to share with us his experiences of training oxen with a yoke in his village. He shared that early in the training, the ox goes this way and that and has to be trained to go straight in order to plow the fields. At times, the yoke is left on its neck overnight so that the ox can get used to it. When they finally submit to the yoke and the training, plowing with these 2 giant animals can be done with just one person quietly instructing, back and forth down the rows of the field. As he shared, Matthew 11:28-30 came to my mind. Let us not be burdened again by a yoke of slavery, but by the grace of God through the cross, let us submit each day to His leadership in our lives, knowing it is an easy yoke and much lighter burden than we carry when we choose to go it alone! P.s. The picture above is from a Friday morning when we treat ourselves to mandazi (a Ugandan doughnut).